These fabrics (all except the far right, which was dyed with acorns and rust) represent different indigo dyeing methods, all derived from my Japanese indigo plants. 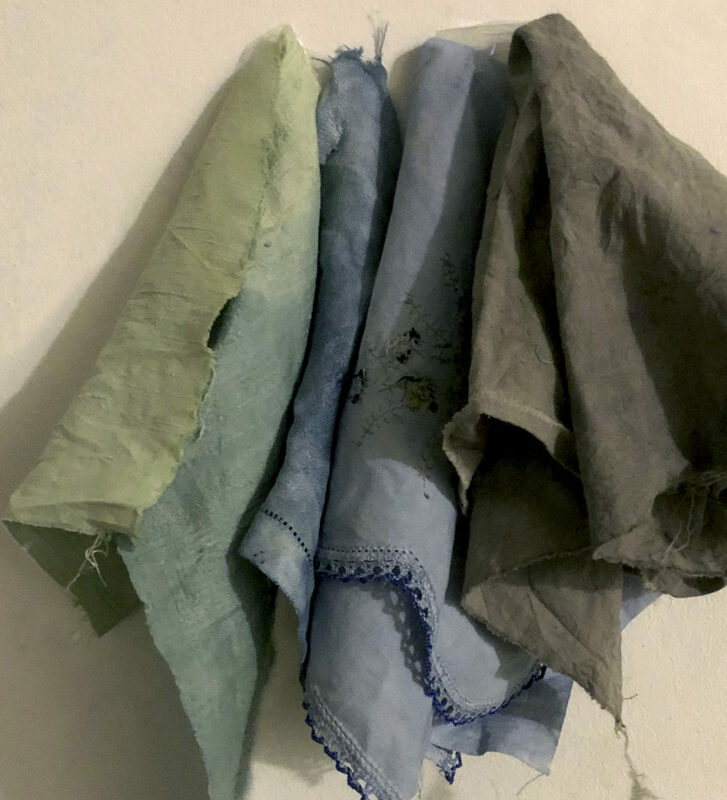 The green and blue-green are fresh leaves and salt on silk, as is the blue right next door. The second blue cotton swatch was a hot bath where leaves cooked at 160°F for 3 hours before I added alkaline chemicals (soda ash), agitated and added a reducing agent, Spectralite. Indigo is surprisingly versatile in the colors it yields yet also unpredictable. 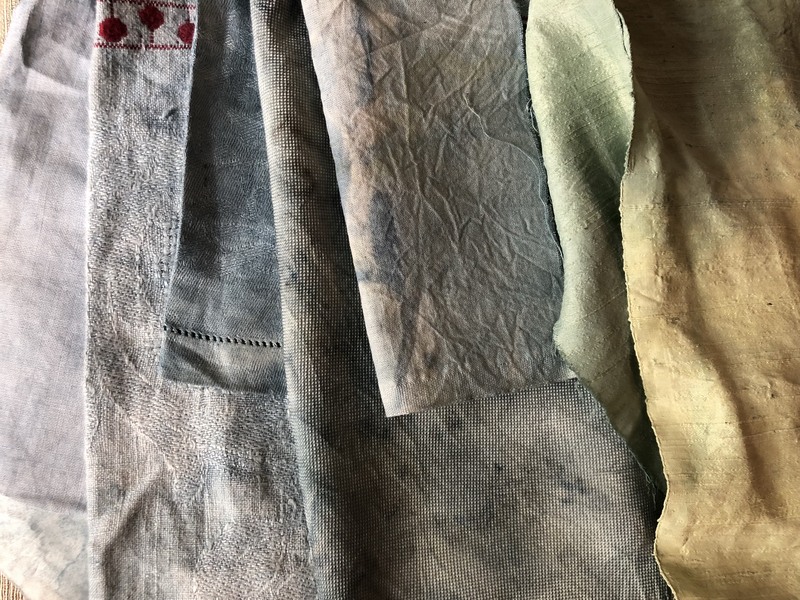 Dyeing and working with nature and plants requires letting go of firm expectations regarding specific color and saturation. Accidents, both pleasant and frustrating, are common.